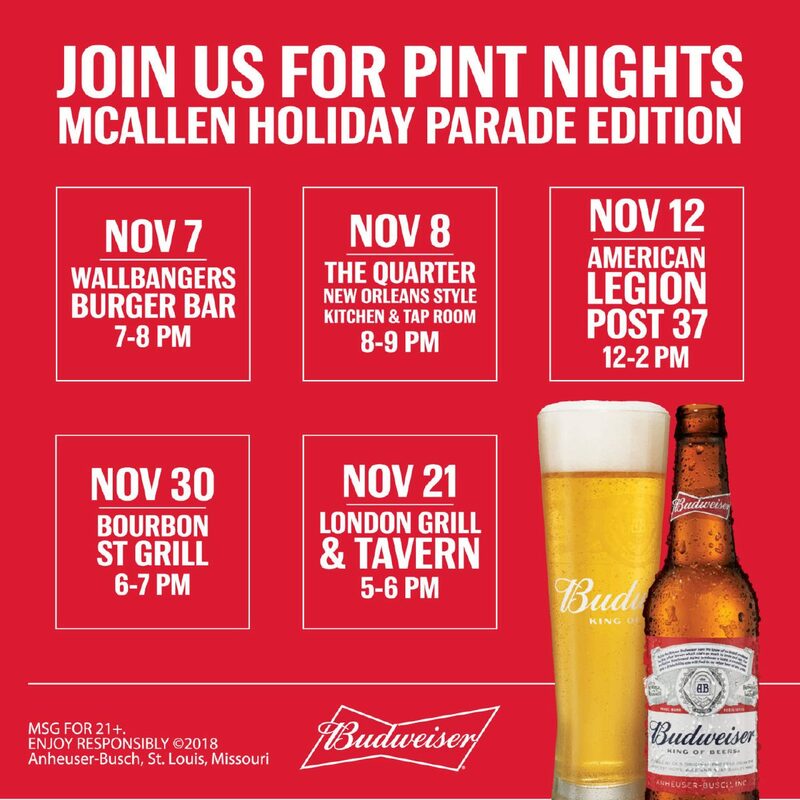 The McAllen Holiday Parade is collaborating with sponsors L&F Distributors and Budweiser to give away commemorative glasses celebrating the fifth year of the event. ʺThis Bud’s for you,” said Mayor Jim Darling in a news release. The city bills the event as the largest single-day event in the Rio Grande Valley, attracting more than a quarter of a million attendees. November 7: Wallbangers, 8024 N. 10th St., 7 to p.m.
November 12: American Legion Post 37, Noon to 2 p.m.
November 21: London’s Bar & Tavern, 129 E. Nolana Ave., 5 to 6 p.m.
November 30: Bourbon St. Grill, 4800 N. 10th St., 6 p.m. to 7 p.m.